Two versatile, durable, and multi-functional travel and storage options to keep you organized throughout through race weekend. The Kodiak is the size of a carry-on suitcase and can either be carried as a duffel bag or worn as a backpack, while the Bear III is smaller and designed for convenience at aid stations or the finish line. Although we practice a sport that is minimalist in ethos, ultrarunners have a knack for acquiring a ton of stuff. Even worse, many of us fret relentlessly about our stuff, particularly when it comes to races. Do we have all the gear we need? Is there a place for every item we want? Can we access all of it easily either before or during a race? And will it stay sheltered and secure when we’re not using it? Fortunately for ultrarunners, Victor Ballesteros is one of us, and he understands our compulsive tendencies regarding our stuff. Actually, let’s backtrack just a bit – because Victor isn’t exactly like most of us: he’s like us, just a whole lot faster. He’s been a fixture on the Northern California ultrarunning scene since the mid-2000s, with a lot of single-digit finish positions (including plenty of #1s) on his resume. He also has a degree in design, and when he became frustrated with the lack of durable, high quality cargo options for race gear, he decided to create some himself – and Victory Sportdesigns was born. Victory’s product line includes six different styles of race bags, all of which share the fundamental design concepts of ease in identifying and accessing stored gear quickly, while providing protection from dusty trails and harsh elements. They are also extremely versatile, and in recent years have seen grassroots expansion for use as car organizers, medical bags, camping gear organizers, and general travel bags. We tested the Kodiak and the Bear III through a summer race season and a series of fall road trips and campouts. The Kodiak is the second largest bag in the Victory lineup, and pulls double-duty as a large duffel bag or a lightweight travel suitcase. It is small enough to qualify as a carry-on item for air travel, but has 55L of cargo capacity to haul everything you need for a full race weekend. Like all Victory bags, the Kodiak has soft internal dividers that are completely removable and/or rearrangeable thanks to vertical Velcro fasteners, and four peripheral internal pockets to stash smaller items. Its material construction is highly durable and water resistant, but is also lightweight enough to wear very comfortably as a backpack. One nice design element is the wide elastic band that wraps both backpack straps together for easy carrying as a duffel. 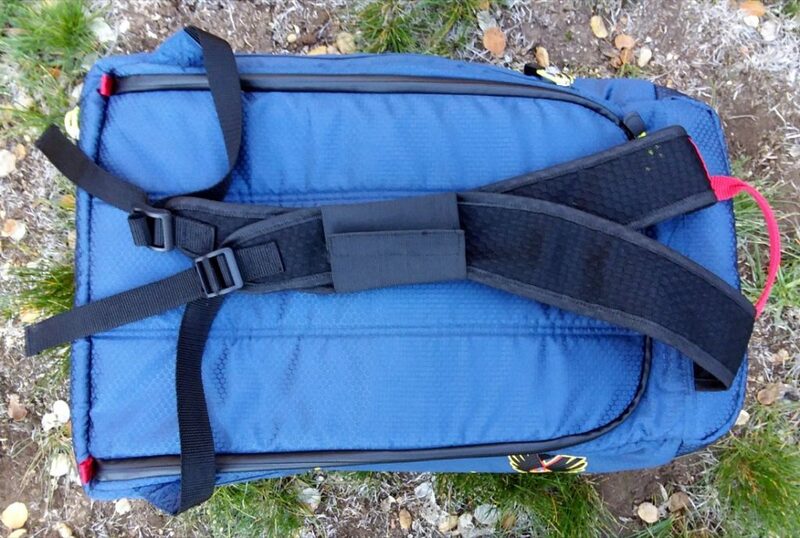 Two additions to the straps that we’d like to see are a sternum clip to help distribution of heavy loads, and a front pocket or two to access small items like keys or a smart phone if needed. The Bear III is an ideal size to use as an aid station bag, particularly for when you transition to evening darkness or cold temperatures during a 100-miler. It can be carried vertically by a single strap handle on one end, or with the detachable and adjustable shoulder strap that is included. The Bear III has identical fabric construction to the Kodiak, and the interior space is divided by a single clear pouch that is removeable via Velcro. 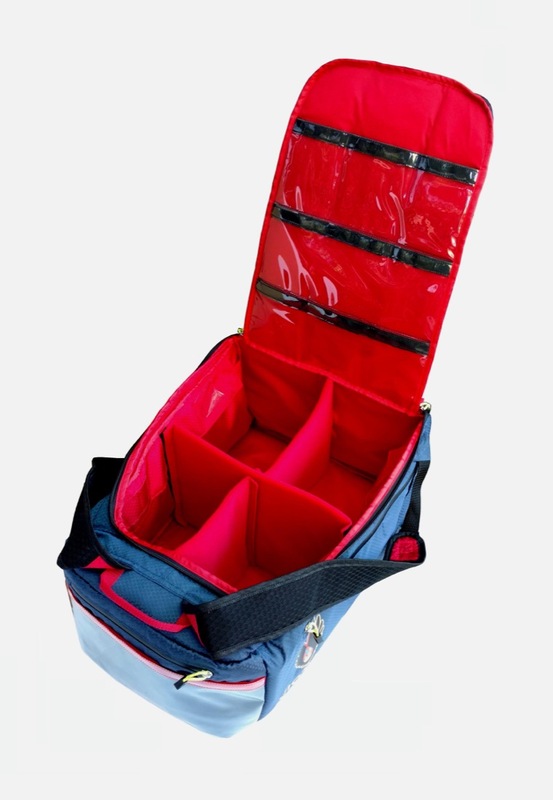 The top and side compartments compose one continuous flap, and can be completely opened to access pouch storage in the main compartment as well as numerous clear pockets on the flap. 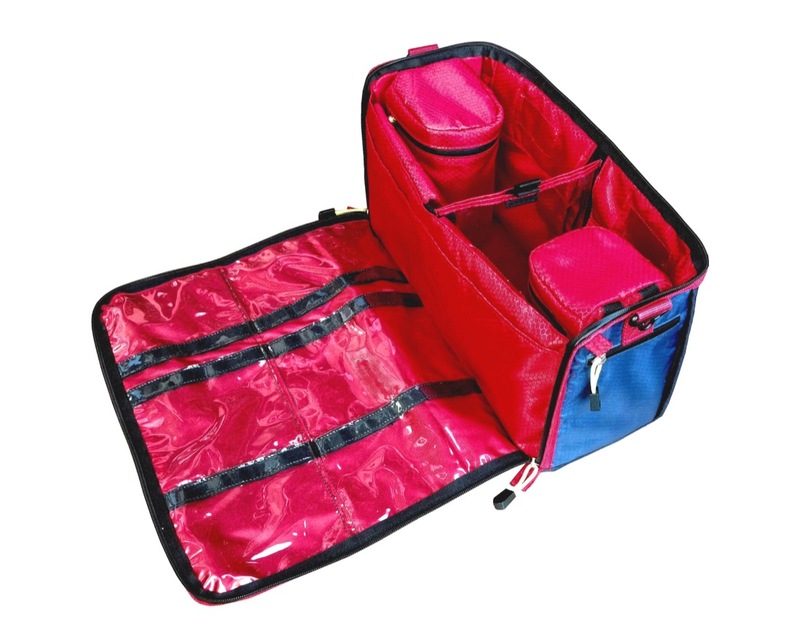 Most of the interior compartment is occupied by two detachable bottle holders; these are insulated and keep drinks cool for a few hours, but they are too short for anything but 500ml hand flasks or a 20-oz bottle. We found this space better utilized by removing the bottle holders and stashing any necessary drink containers among the rest of our gear. These two bags share multiple similarities that increase their versatility; two principal examples are the prevalence of clear “window” coverings to see what’s inside, and slots for labels on nearly all non-transparent pockets. The combination of these two elements allow you to designate a place for each item, and make it easy see at a glance what is stored where if you’re in a rush. Another nice inclusion with each bag is a “Piglet” nylon drawstring container to stash your muddy or smelly shoes into after a long trail day; the Piglet with a pair of shoes inside can easily fit into the Kodiak bag, but needs to be tied onto the side strap of the Bear III. 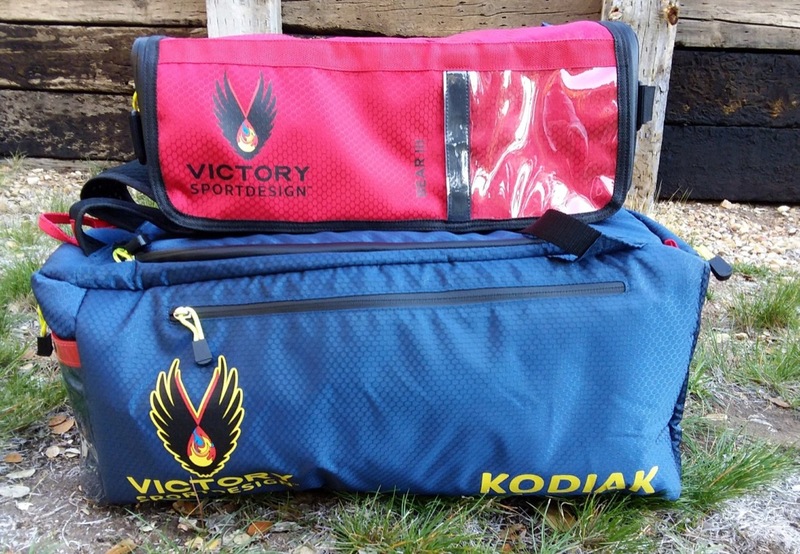 The Kodiak and Bear III bags, along with other Victory models, are available on the Victory Sportdesigns website.